The worlds smallest heroes must join forces! 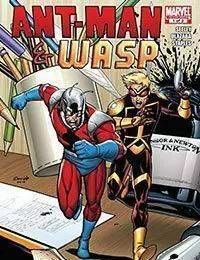 Eric OGrady once stole the Ant-Man suit from Hank Pym. But now, Eric is the only one who knows about a secret AIM plot to steal Pyms greatest invention! Can the two men get along long enough to save the day?